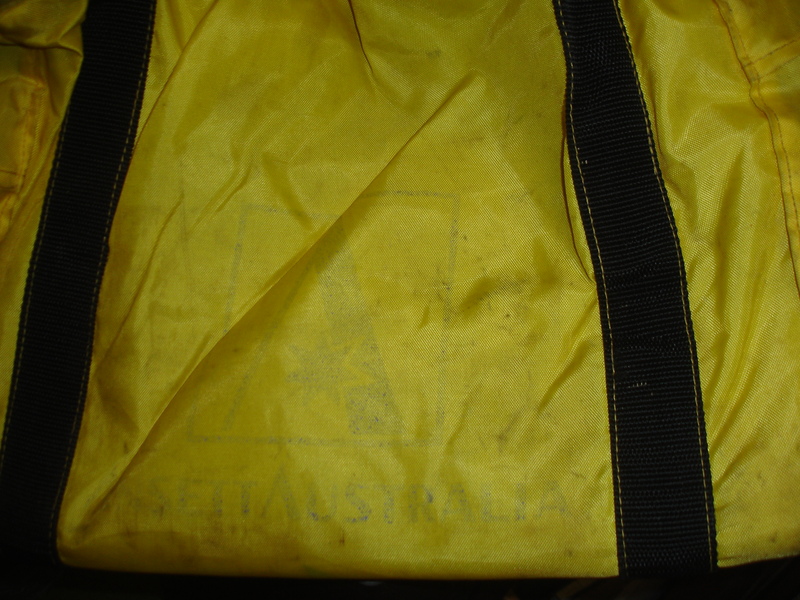 this is a great carry bag from the now-defunct Ansett Airlines. It is about 37cm square, and 15 cm wide. 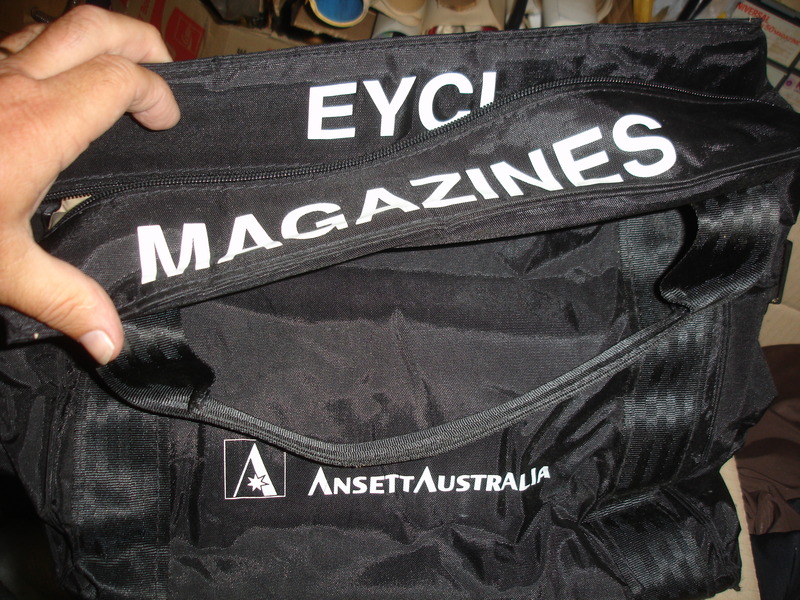 Both sides have the Ansett logo- VERY FADED/Worn, and the top says ECONOMY ENGLISH MAGAZINES. YELLOW with blue printing. The inside is padded, so it is a great bag for carrying items that need a little protection as well.